I walked around Jackson Bottom in Hillsboro this morning. As you would expect at this time of year, there were lots of young birds around. 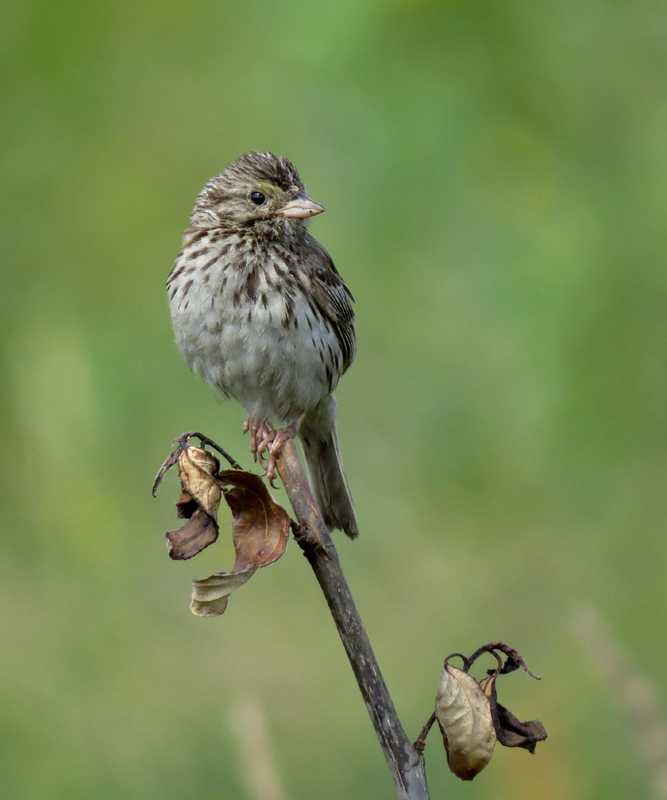 This young Savannah Sparrow posed nicely. His parents have not taught him to skulk in the weeds yet. The best bird of the day was this male Blue-winged Teal (right foreground), always hard to find in the Willamette Valley. He flew in with a small flock of Cinnamon Teal. 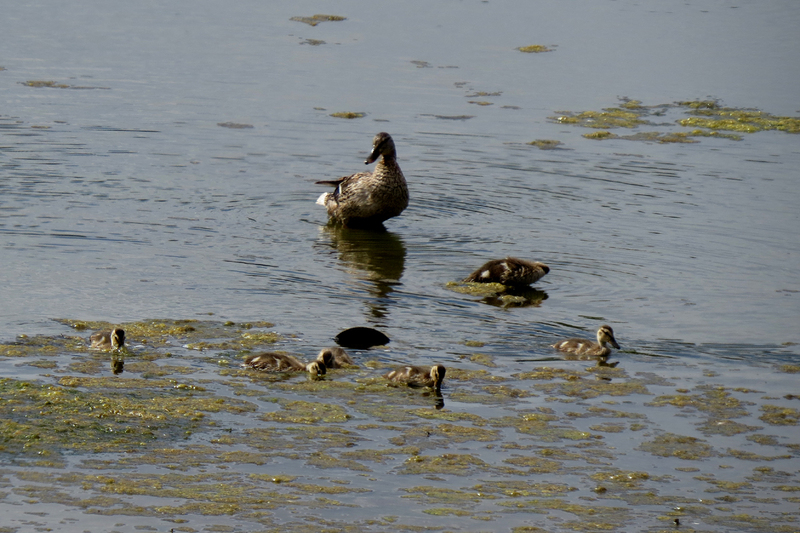 Families of young Mallards were everywhere. 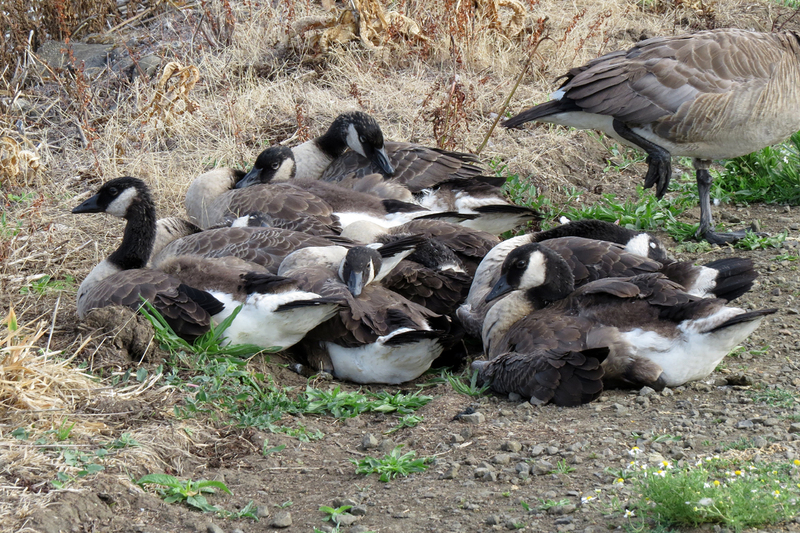 These Canada Geese are mostly grown, but retain a bit of their cute fuzziness. I was surprised by the lack of migrant shorebirds. The resident Spotted Sandpipers were well represented. Lots of Nutria were out this morning. 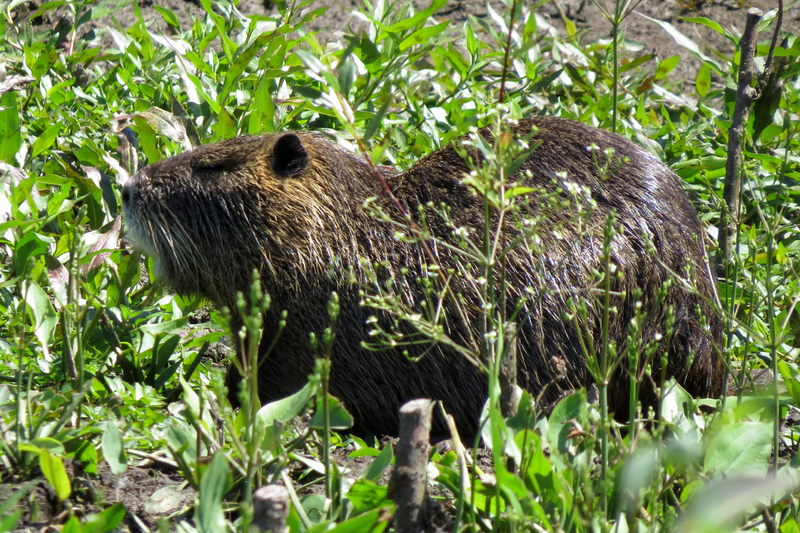 Yes, introduced species often wreak havoc on native ecosystems, AND, Nutria look like adorable little bears. 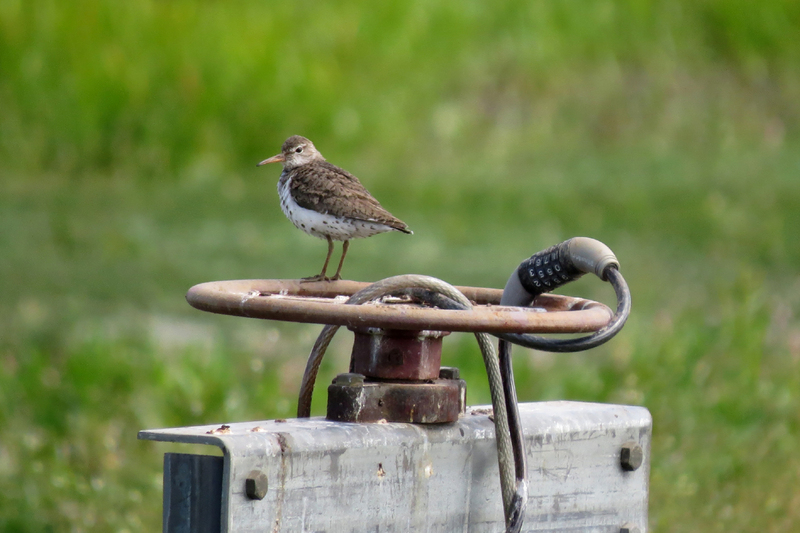 This entry was posted in mammals, nesting, OR Birding Sites and tagged Blue-winged Teal, Canada Goose, Jackson Bottom, Mallard, Nutria, Savannah Sparrow, Spotted Sandpiper. Bookmark the permalink.